Welcome back to ACE Charter High School, Home of the Flying Aces! A special welcome to the new Freshmen Class of 2022! Senior Guidance: At the beginning of the year, Ms. Ochoa will verify that each senior is in the required classes for graduation and meet with those students who need Adult School/APEX for additional credits. In August, Ms. Ochoa visits all senior level classes to review transcripts with students and talk about how to get ready for their plans after high school. For most of our students, that is going to college, so both 4 year and community college applications will be discussed. Paying for college is another hot topic, so the process for applying for scholarships and financial aid is outlined as well. FAFSA now opens OCTOBER 1st!! Four Year Planning for 9th-11th Grade: This fall the Ms. Ochoa will meet with all 10th and 11th grade students to create or adjust their personal Four-year Plan. I will also meet with the 9th graders. This is designed to assist students in determining what courses to take, what sequence should be followed, what classes are required to be college eligible, and to help plan for goals after graduating from high school, even if college is not an option. This assessment is a practice test to the ACT. The Test will be taken November 14, 2018 8:00am-11:00am. Students can register with Ms. Ochoa by September 30, 2018, the cost is $13 per student. 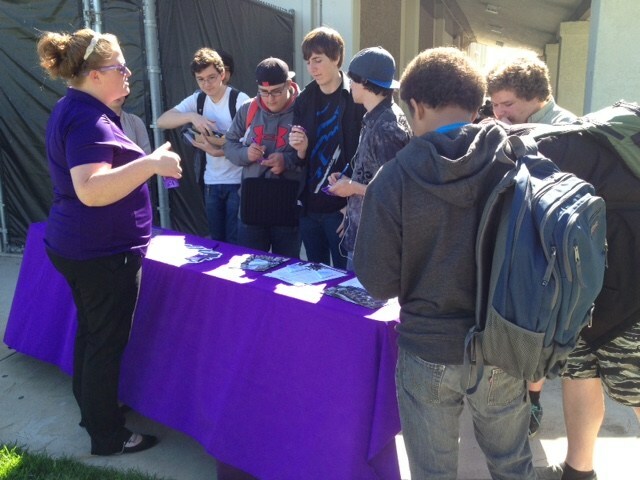 PreACT gives students an estimated ACT test score and can be used as an indicator of college and career readiness. Reports include data to help teachers and counselors target interventions, inform classroom instruction, and guide students in course selection. There is a limited number of tests that are ordered so interested students should sign up as soon as the registration window opens. There is no guarantee that there will be enough tests for students who wait until later in the registration period. College Application Deadlines: Seniors applying to either CSU or UC campuses must submit their completed applications online by November 30th! Online applications are available beginning October 1st for both the CSU and UC systems. CSU applications can be submitted online October 1st to November 30th. (www.calstate.edu/apply) Even though the UC application window opens on October 1st completed applications can only be submitted November 1st – 30th. Seniors applying to private universities and colleges should verify the specific registration deadlines by contacting the individual college or university. Students who plan on attending Ventura/Oxnard/Moorpark College should apply beginning in October 2018!!! Seniors should keep their transcript they received during their graduation status meeting in August so they can accurately report their classes and grades on their college application. Free/Reduced Lunch Program: We encourage all students who qualify financially to register for the Free/Reduced Lunch Program. In addition to helping students afford lunch, this program qualifies students for other need based programs such as fee waivers for ACT tests, SAT tests, AP tests and college application costs. Students must re-apply for this program each year as last year’s eligibility will expire in September. 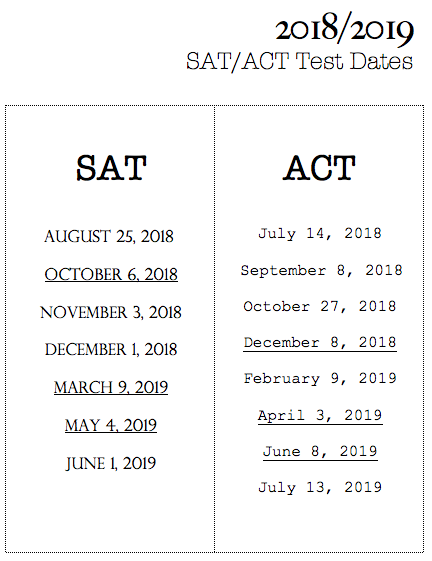 *SAT late Registration deadlines, information about SAT Subject Test dates and deadlines to make changes can be found here. *ACT late Registration deadlines and additional information can be found here. If you want to know more about college students, college admission, college choice, etc., consider the following books. If you have suggestions for other titles let Ms. Ochoa know.